So I tweaked the mainmenuoverride . res so that the gray bar on the bottom doesn't show. But the "Find a Game" overlay creates a light black panel that looks bad with the change, plus the overlay doesn't extend all the way to the bottom of the screen. Which file controls the "Find a Game" panel's behavior? sAvenSo I tweaked the mainmenuoverride . res so that the gray bar on the bottom doesn't show. But the "Find a Game" overlay creates a light black panel that looks bad with the change, plus the overlay doesn't extend all the way to the bottom of the screen. Which file controls the "Find a Game" panel's behavior? [quote=sAven]So I tweaked the mainmenuoverride . res so that the gray bar on the bottom doesn't show. But the "Find a Game" overlay creates a light black panel that looks bad with the change, plus the overlay doesn't extend all the way to the bottom of the screen. Which file controls the "Find a Game" panel's behavior? is there any way i remove the limit in the class model ? Where is the file that controls the font of the party chat? Using a custom font changes the font of the party chat, which can make some messages hard to read. Look at this pic at left side (HP bars of your team with numbers). Can someone tell me how can I enable it? sAvenWhere is the file that controls the font of the party chat? Using a custom font changes the font of the party chat, which can make some messages hard to read. how do i get this increased medi-gun charge% ? do i put that in all of them? Which values accept properties pin_corner_to_sibling and pin_to_sibling_corner? Which values accept properties [i]pin_corner_to_sibling[/i] and [i]pin_to_sibling_corner[/i]? amigoWhich values accept properties pin_corner_to_sibling and pin_to_sibling_corner? Those are all just aliases for numbers though, and "pin_corner_to_sibling" "1" or 2 or 3 or whatever is entirely functional. What is the file that controls this panel? I don't remember editing this panel and I was confused as to why it was coming down from the left instead of the center like it should. Maybe something in hudanimations? Any help would be great. Not technically the right place to ask this I suppose but is it possible to make vtf crosshairs transparent and if so how? JojoNot technically the right place to ask this I suppose but is it possible to make vtf crosshairs transparent and if so how? 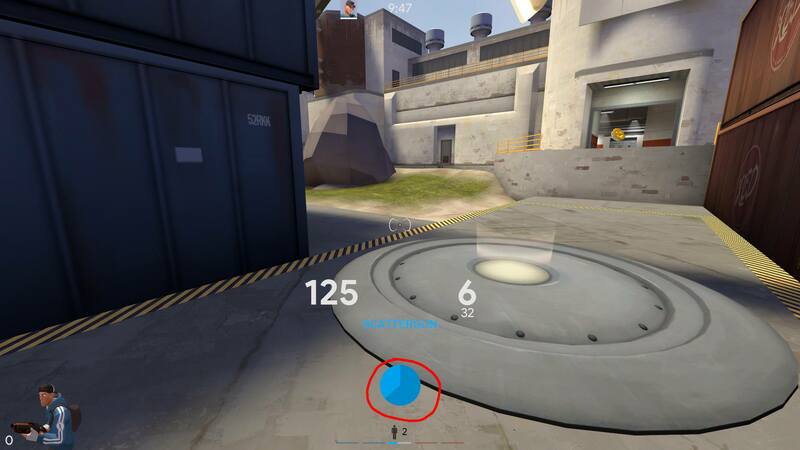 or use crosshair_alpha? Surely you could change it to 100 or something so it's transparent? _Kermitor use crosshair_alpha? Surely you could change it to 100 or something so it's transparent? i've been trying for 6 months to change the overheal/low health value of my hud and now I just gave up. I have absolutely no idea why it's not changing color. I checked hudanimations_manifest, all the definitions for colors are in the clientscheme, there are no misspellings and still the hudanimations file doesn't change anything. If a blessed soul could help me you don't know how happy i'd be. Hi how can I prevent the names in foster's scoreboard from being cut off? creeprooti've been trying for 6 months to change the overheal/low health value of my hud and now I just gave up. hudanimations_manifest just shows what files are called upon to have an effect on the game. 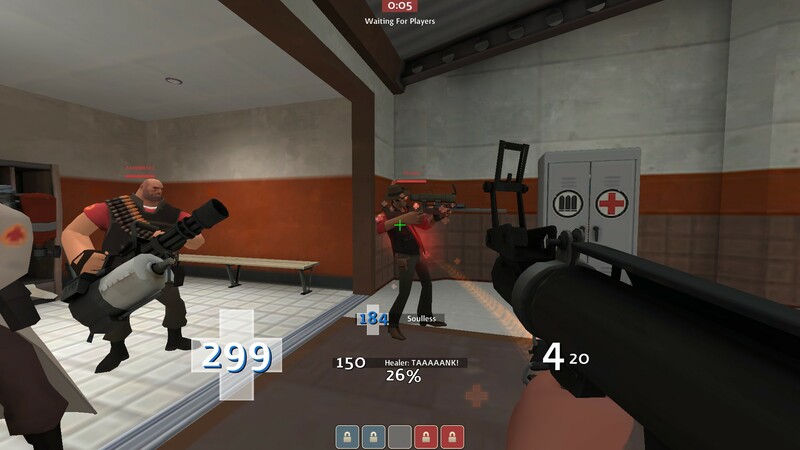 Inside either HudAnimations_tf, HudAnimations, or HudAnimations_custom. The event HudHealthBonusPulse will be present, change the rgb values in there. [quote=creeproot]i've been trying for 6 months to change the overheal/low health value of my hud and now I just gave up. It doesn't work. Thats the problem. And yes, it doesn't still work if instead of the rgb values I input something like "G_Green"
did you do any changes to your hud? which are the parts of the hud that would use that font, therefore showing as "missing" ?